Wow! This piece of jewelry is totally breathtaking. It is a beautiful lady’s fashion accessory specially designed to make you radiate class, beauty and elegance. It is a fashionably charming piece of jewelry made of lightweight gold plated copper alloy chain. 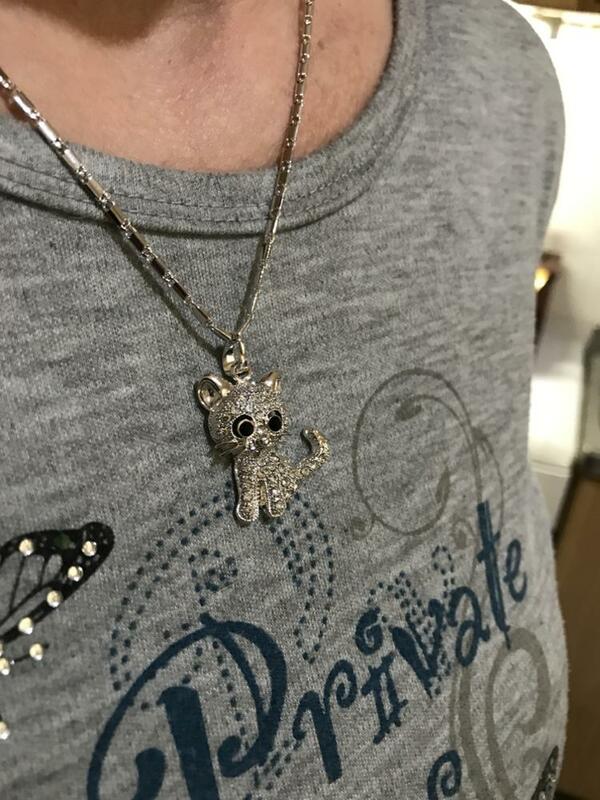 Hanging on the gold link chain is an irresistible pendant featuring gold plated cat beautifully adorned with glittering stone. 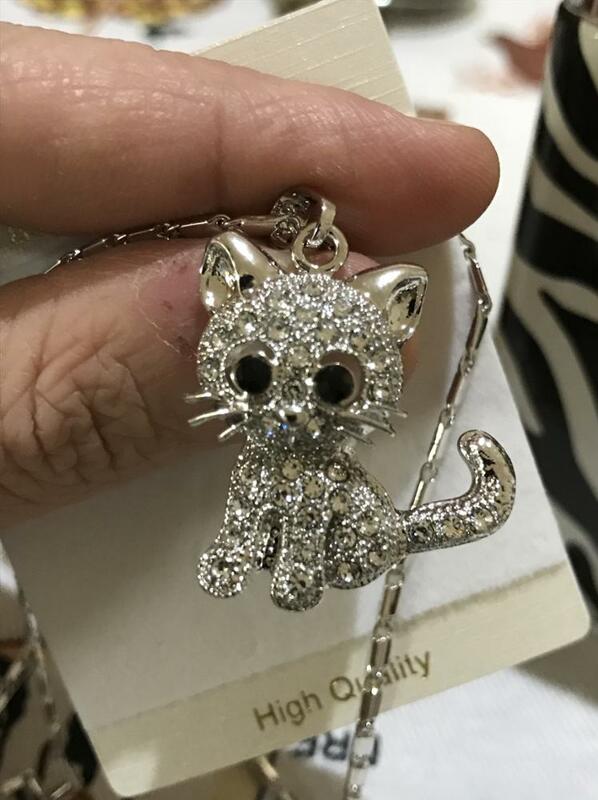 This trendy rhinestone pet charm jewelry is perfect for engagement, anniversary and party. It is an eco-friendly fashion accessory. 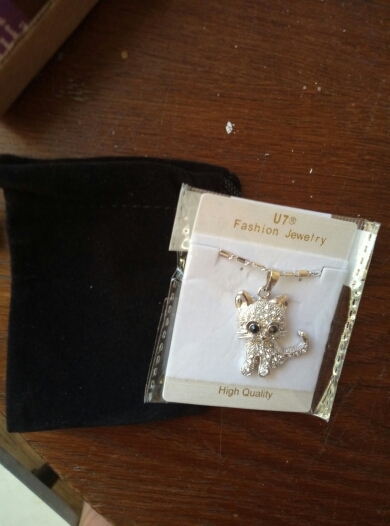 Its link chain measures 50cm and the pendant size is 3.8cm. 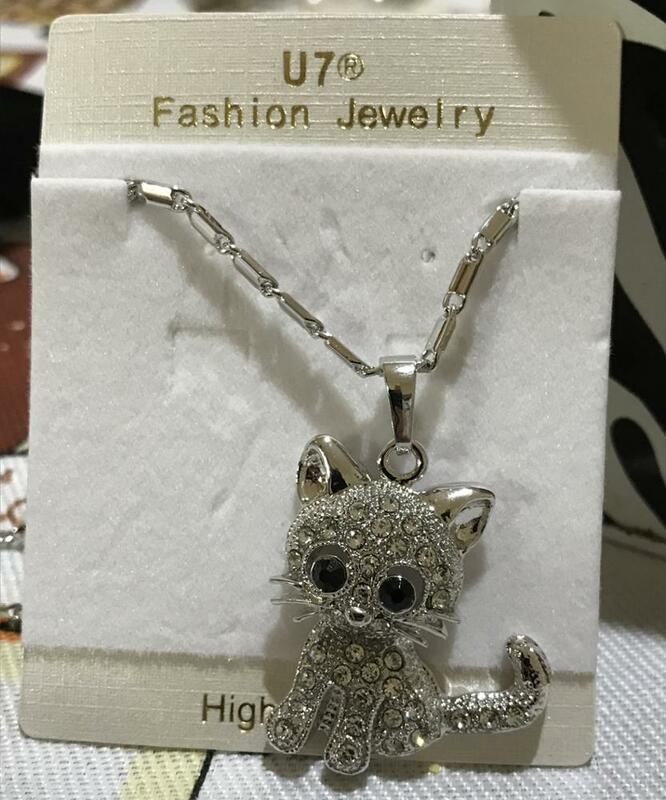 It is a great addition to your jewelry collection and as well a wonderful gift for your female family members and friends. Exactly as described. Reliable store. High quality materials. Fast shipping. Great customer service. Great shopping experience. Good packaging. Met the expectation. 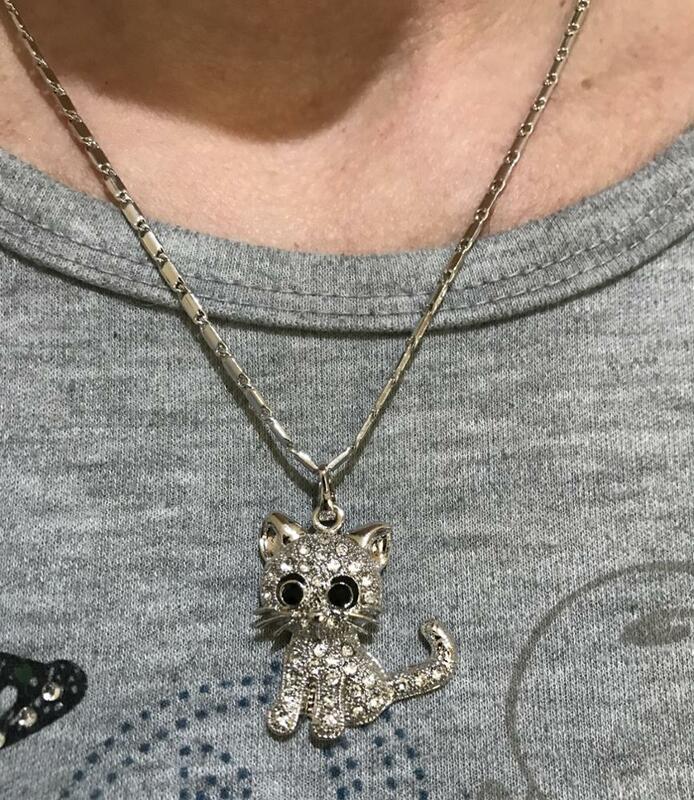 excellent necklace but somewhat heavy pendant fine made. 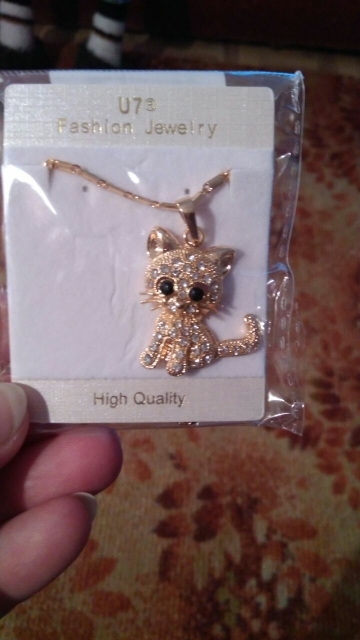 Kitty is very cute high quality made (all as in the photo). liked the design of the chain. the order was very well packed and safe. as a gift attached velvet bag for jewelry. I'm happy with the order. thank you store! 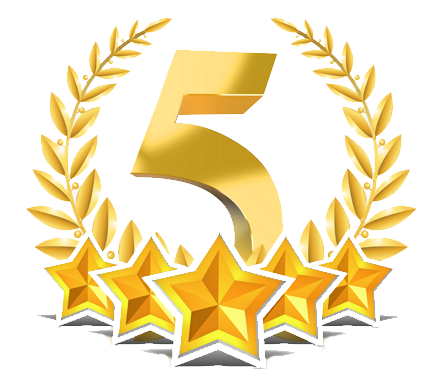 Very beautiful, very good quality, great store. thank you! The cat came for two weeks. thank you very much. esche and polarok cheholchik.